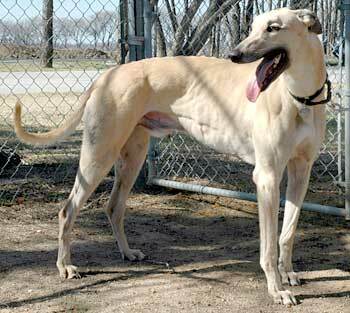 Lent, aka Kiowa Get Lent, is a 4-year-old fawn male. Born on June 23, 2001, Lent is the offspring of sire Flying Train and dam Kiowa Get Vickie. 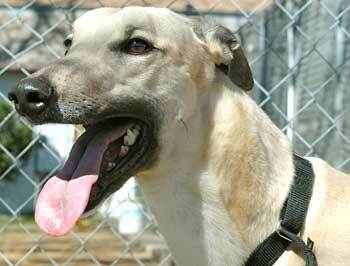 Lent had a lengthy racing career that began in October of 2002 at Wheeling Downs in West Virginia. 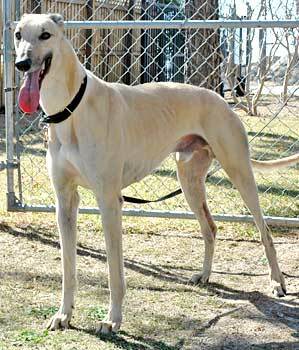 After competing in 127 additional races, Lent retired from the Southland Greyhound Park in November of 2005 and is now ready to take it easy in his new home. It is not known at this time if Lent is small animal or cat tolerant.